In May 1970, The Stooges were in the middle of recording their celebrated album, Fun House at Elektra Records Recording Studio in Los Angeles. That same month, they appeared at the Whisky a Go-Go on Sunset Boulevard for two incredible nights. 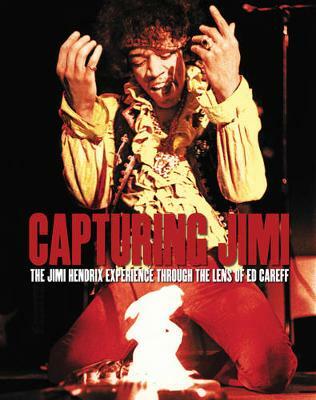 Ed Caraeff, a new rock photographer who had burst onto the scene three years prior with his now-iconic image of Jimi Hendrix burning his guitar onstage at Monterey, happened to be in that crowd, and took a plethora of wonderful pictures. Only a few stills from that phenomenal gig were ever reproduced. Most famously, one was used on the cover of Fun House. The rest were filed away. Until now. Ed Caraeff's coverage of this monumental moment is reprinted here for the first time in book form. He not only captures the energy, madness and raw power of Iggy Pop's performance, but also the preceding minutes before the band stepped onto stage and made history. Along with images and contact sheets, original interviews shed new light on that unforgettable night.Interviewed by pop-culture historian Jennifer Otter Bickerdike, names include Jac Holzman, Head of Elektra Records during the recording of Fun House; Mikael Magliere, son of Mario Maglieri, owner of the Whisky a Go-Go when The Stooges played in 1970; Danny Fields, a DJ/publicist credited for signing MC5 and The Stooges; and Jeff Gold, music historian and noted Iggy Pop biographer. A tribute to the band that rocked the world, Iggy Pop & The Stooges: One Night at the Whisky, 1970 will revolutionise your view of music. Buy Iggy & the Stooges by Ed Caraeff from Australia's Online Independent Bookstore, Boomerang Books. Ed Caraeff is hailed as one of the music world's greatest art directors and photographers. His archives capture the spirit of the high age of Rock.